Streetcars are a convenient and affordable way to get around the city. With four lines, there are so many places to discover along the routes. Buy a one-day jazzy pass for $3, download the RTA app, and get exploring! Here are some sample itineraries on how to spend your day riding the historic streetcar. 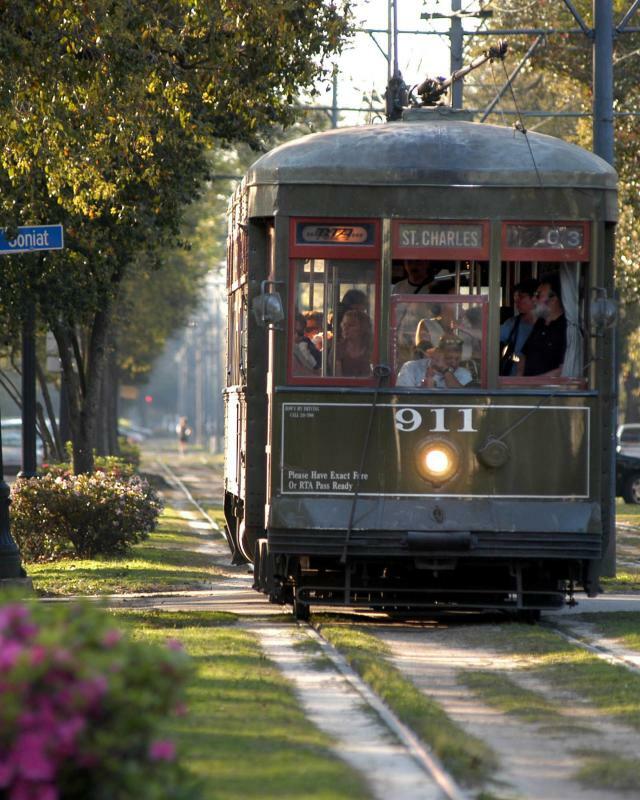 The St. Charles Avenue Streetcar is one of the oldest and most notable lines. Its route – spanning from Uptown to the Central Business District – passes by classic New Orleans stops under live oaks along the neutral ground. 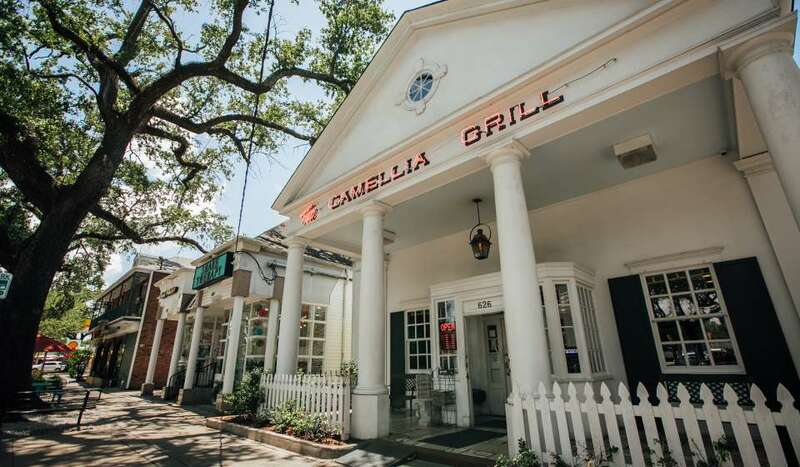 Take the line to the Maple Street stop.Camellia Grill is a favorite among locals and visitors. The friendly staff will brighten your morning at this casual diner, where you can find traditional diner faves like omelets, perfectly crisped waffles and their signature “freeze” milkshakes to wash it all down. A half-block away lies Refuel Cafe, a great stop for a quick, but delicious breakfast. Located just off Walnut Street stop across from Tulane and Loyola universities, Audubon Park is the perfect spot for those who want to see the beautiful nature that inhabits New Orleans with the park’s oak trees, lagoons, and green spaces. Families will love the various playgrounds that are scattered throughout the park. Audubon Zoo is located just at the back of the park. For those looking for a competitive activity, Audubon Park Golf Course is a great post-breakfast activity. No need to carry your clubs all day as they offer rentals. The St. Charles Avenue line passes by a wide array of perfect lunch options. Exit the line at Robert St. and walk two block to St. James Cheese Company for soups, salads, sandwiches and, of course, cheese. 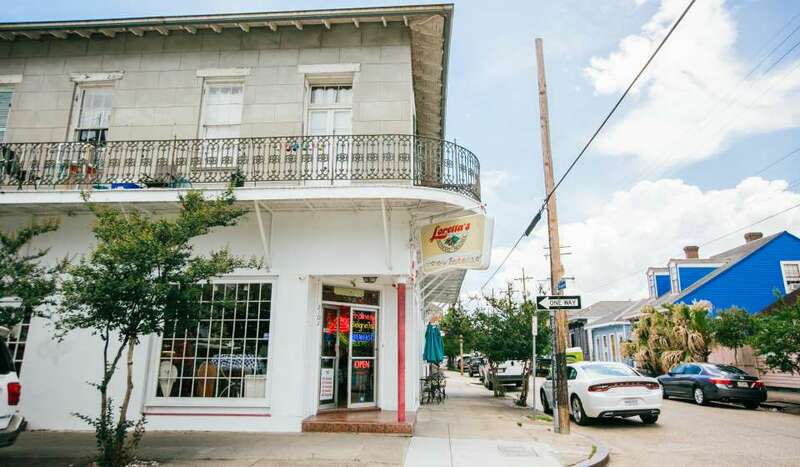 Take the line a little further to Napoleon Avenue and dine at Superior Seafood, located right on St. Charles Avenue. Or keep going up to the Riverbend, and stop by Boucherie, where you&apos;ll want to be sure to save room for the Krispy Kreme Bread Pudding for dessert. After lunch, take a walk through the historic Garden District and observe the classic New Orleans architecture. Want a more structured visit? Take one of the tours found here. You can also visit Lafayette Cemetery No. 1, which is found two blocks off the Washington Avenue stop at Prytania Street. For shopping and other dining options, Magazine Street runs parallel to St. Charles Ave. and is just a few blocks from the route. Check out this guide to lower Magazine St. for more recommendations. There are a variety of options along St. Charles Avenue for great drinks and happy-hour specials. The Columns Hotel often has live music and offers craft cocktails. Delachaise is the stop for wine lovers and Avenue Pub offers 40+ beers on tap. Also on the Washington Avenue stop (across from Lafayette Cemetery No. 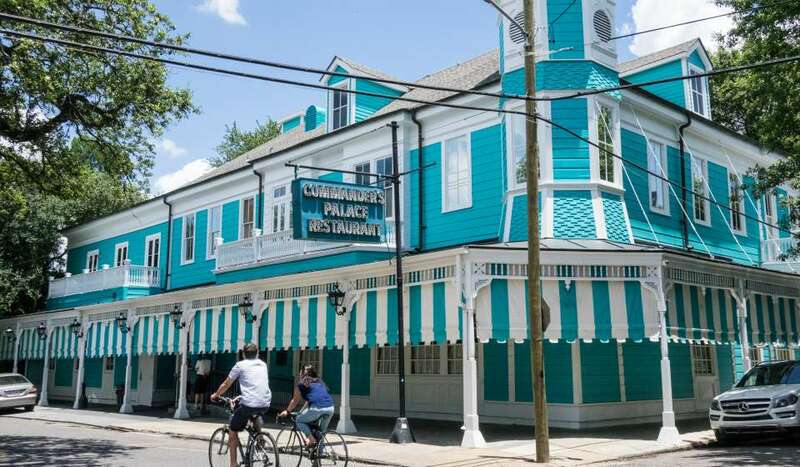 1), you’ll find Commander’s Palace, a New Orleans classic. The Josephine stop will put you right in front of the Pontchartrain Hotel, home to Jack Rose and the Hot Tin Rooftop Bar. Both are hip places to spend your evening. Take the line further downtown, back to the CBD, and dine at Herbsaint or Luke. 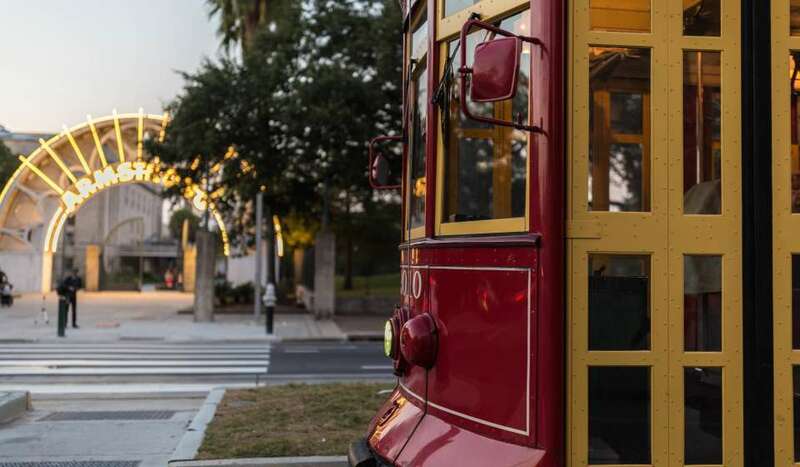 Take the Canal Streetcar Line from Mid-city to the Central Business District in Downtown New Orleans.There are two different routes along this line – one runs to the historic Mid-City Cemeteries, and the other stops at the foot of City Park. You can find the final destination of the route written on the front of the streetcar. Get off the streetcar at Canal + North Rampart to stop by The Ruby Slipper Café, where you can enjoy a relaxing breakfast and taste New Orleans classic dishes with a twist. Or start your day a little further down the line at the Canal Street and South Dorgenois stop to have a tasty and affordable breakfast at Betsy’s Pancake House. 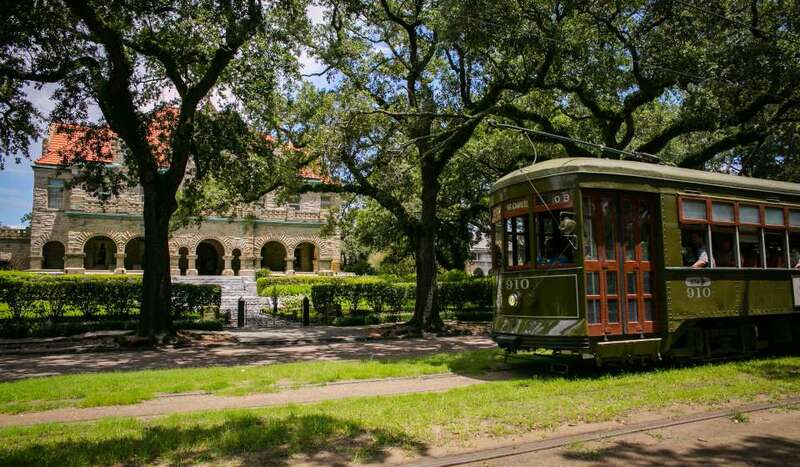 Get on any canal streetcar that says City Park/ Museums to start or finish your day at City Park in Mid-City. 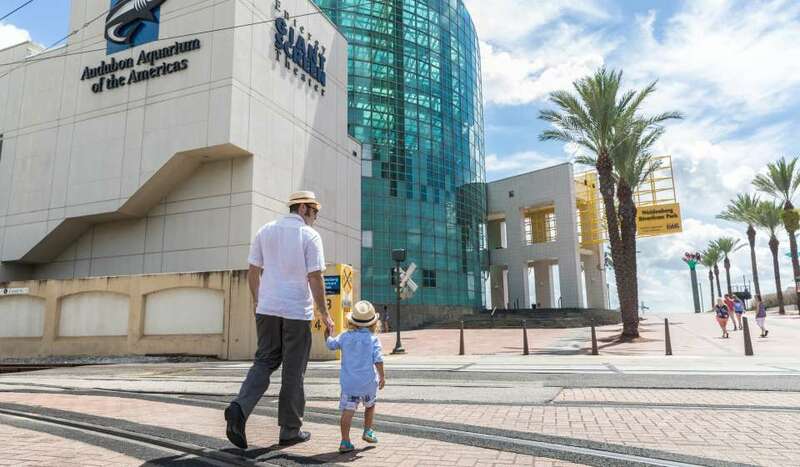 Play in the park at the family attractions, visit the New Orleans Museum of Art, or walk around and enjoy the greenery of the oak trees in the park. At the foot of Canal Street where the French Quarter starts, you’ll find the Audubon Butterfly and Garden Insectarium. This museum is home to everything that walks, crawls, and flies. Encounter the largest group of animals on the planet in a fun way through theater, culinary surprises and the butterfly garden! Ride back up the streetcar line to the Canal + Scott stop to have staple creole dishes at New Orleans famous Mandina’s . Take the line a little further down and have dinner at Canal Street Bistro in Mid-City. If wanting to stay downtown, Palace Café is a great option just steps from the French Quarter. Hop off the street car at N. Rampart for entertainment and drinks at The Davenport Lounge, Joy Theatre, and Saenger Theatre. 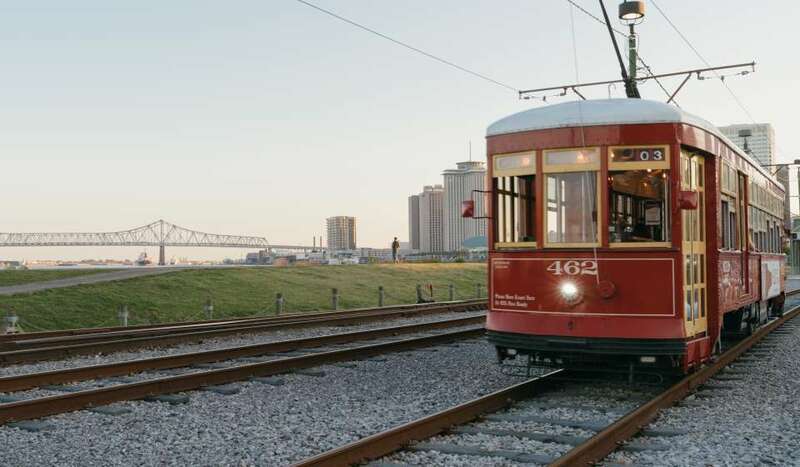 Located along the Mississippi River, the Riverfront Streetcar Line has six red streetcars that travel a few blocks between the Aquarium and the French Market. Take the Riverfront Streetcar Line to the Dumaine Station to enjoy beignets at the famous Cafe Du Monde. The French Market Station is a great stop to buy local goods, grab a snack or to just wander through the French Market. The Canal Street stop will drop you right in front of Canal Place, which is full of high-end finds. You can also shop for discounted designer goods at the Outlet Collection at Riverwalk, which is located at the Poydras Station stop. Take the streetcar line to the Dumaine Station and enjoy a Muffaletta at the Central Grocery. Get other New Orleans delicacies off the Toulouse Station stop. Walk a block to Johnny’s Po-boys or the Corner Oyster House. With over 600 species, including penguins, white alligators and sharks, this is a must see! Visit the Audubon Aquarium of the Americas along the Mississippi River to spend the day learning about rare sea creatures. And be sure to save time to catch a show at the adjoining Entergy Giant Screen Theater. 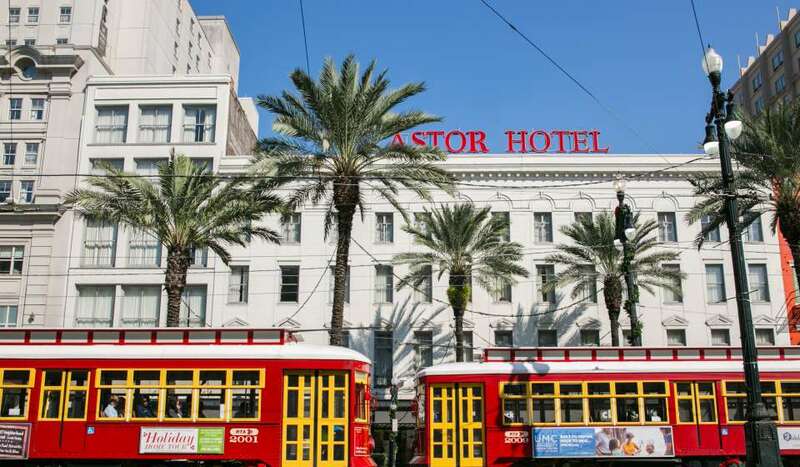 Following your afternoon activity, take the streetcar to the Poydras Station and enter the Hilton to dine at Drago’s, a New Orleans favorite for chargrilled oysters. 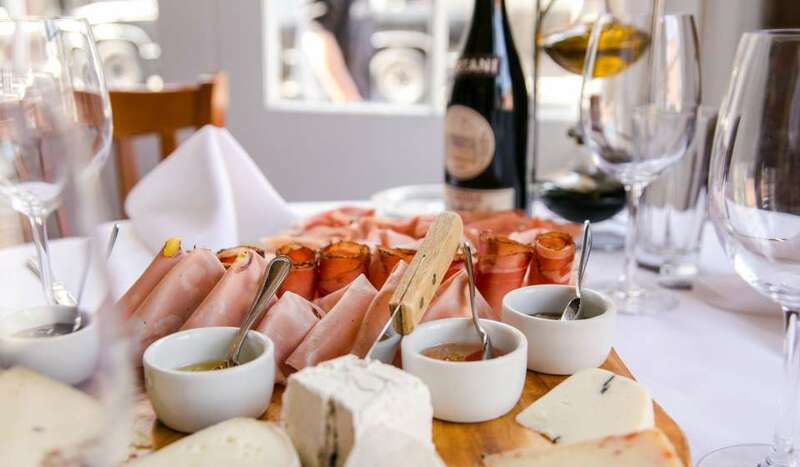 Or if you’re looking for a more upscale dinner, get off the line at the French Market stop and walk two blocks over to The Italian Barrel, where you’ll find one of the most impressive cheese and charcuterie boards in New Orleans. The Ursulines station will drop you just a block from Trinity Restaurant as well. Ride through Treme and into the Marigny/Bywater on this newly refurbished line. Located just on the edge of the French Quarter, the Rampart line will take you through a historic section of the city. Cemeteries are a popular attraction in New Orleans for their unique above-ground tombs, but St. Louis Cemetery No. 1 attracts visitors for a spookier reason–Voodoo Queen Marie Laveau’s tomb is located there. Please note that due to the popularity of this cemetery, visitors must be with a licensed tour guide to enter the site. Spend your morning relaxing at Louis Armstrong Park. Wander through Congo Square, sculptures dedicated to the music legend, and duck ponds. The park is also home to many festivals and free concert series throughout the year. Located on the corner of the last stop, Gene’s Po-Boys is a neighborhood favorite on St. Claude Avenue. A block before is Frenchmen Street and houses Loretta’s Authentic Pralines just a block off the route. Loretta’s is not only great for a sugary treat, but also Cajun delicacies. Visit Priestess Miriam and Priest Oswan Chamani at the Voodoo Spiritual Temple for a consultation, potion, tour or lecture. Effervescence is an elegant champagne bar at the Ursuline Avenue stop. If looking for craft cocktails, Bar Tonique is a local favorite and a must visit. For live music, visit Sweet Lorraine’s at the Pauger St. Stop, or Hi-Ho Lounge just one block passed the last stop on St. Claude Avenue. For elegant fare and creative cocktails, Meauxbar is the spot. Get off at the Ursuline Avenue stop, and the chic restaurant is located across the street from Armstrong Park. The Conti stop will put you just one block from Jewel of the South, owned by legendary bartenders, Chris Hannah and Nick Detrich.